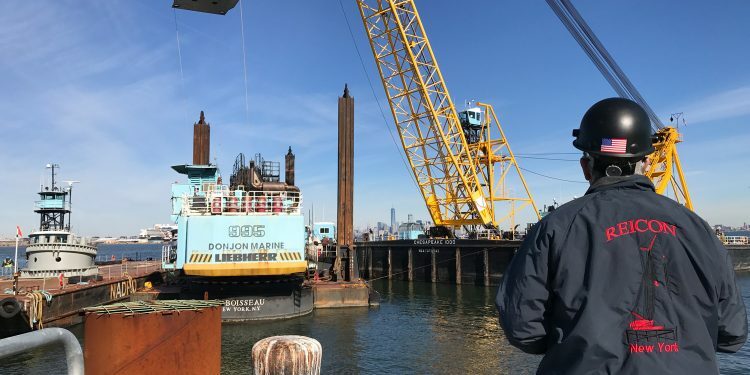 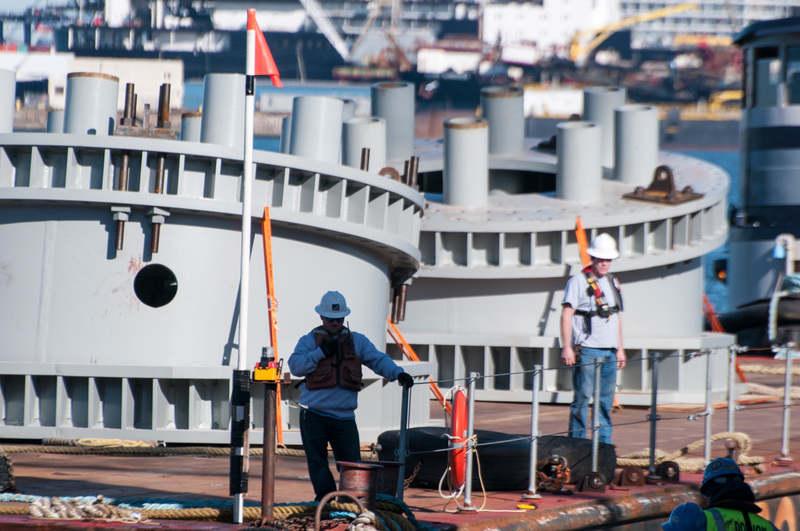 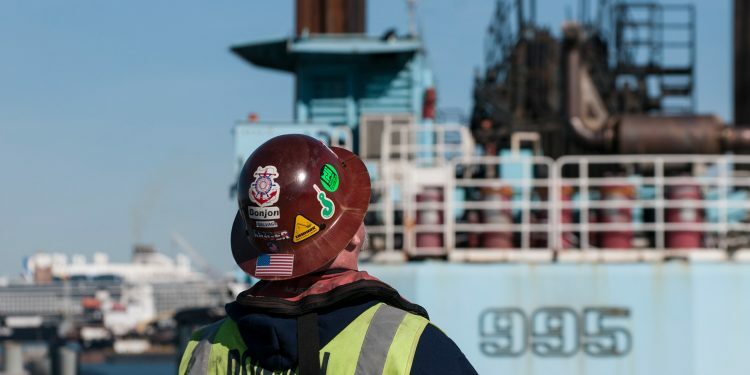 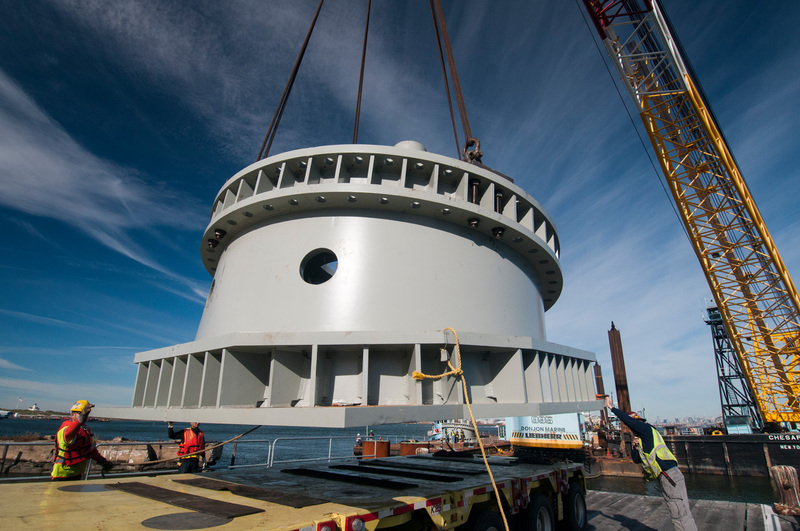 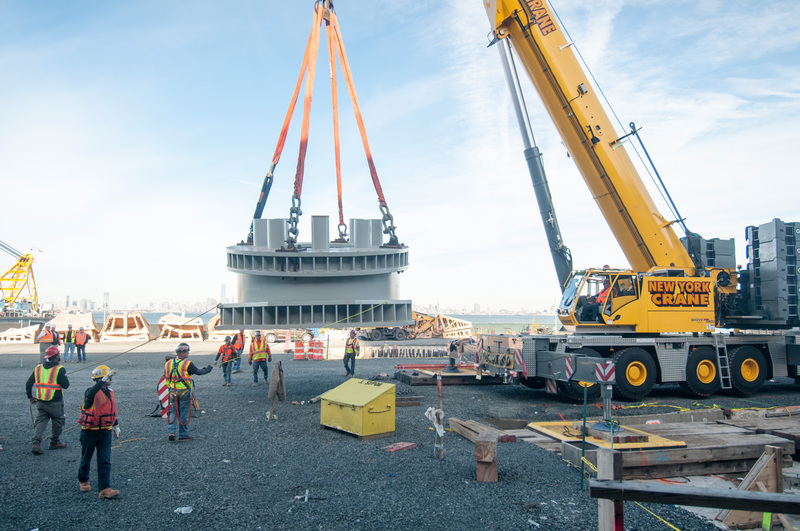 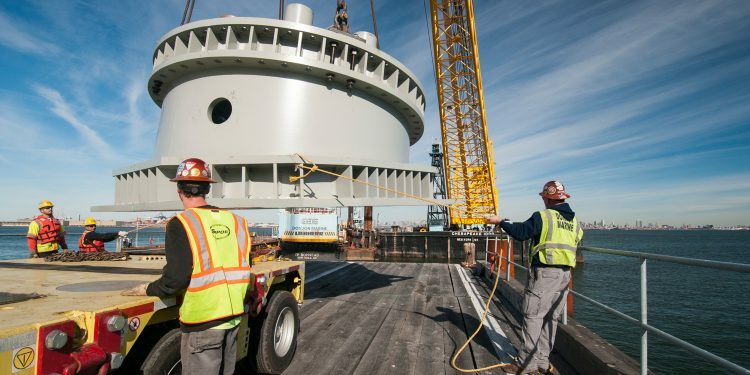 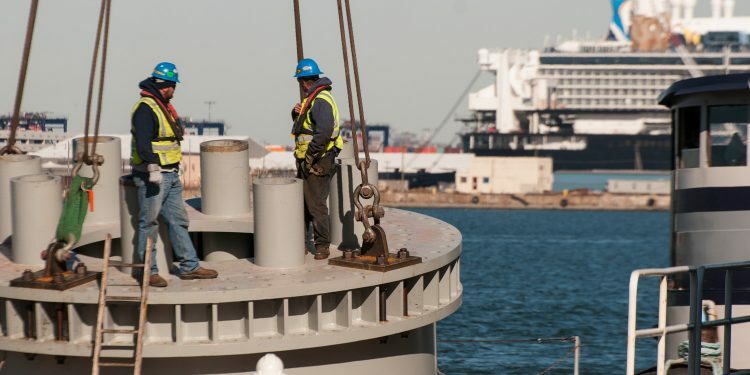 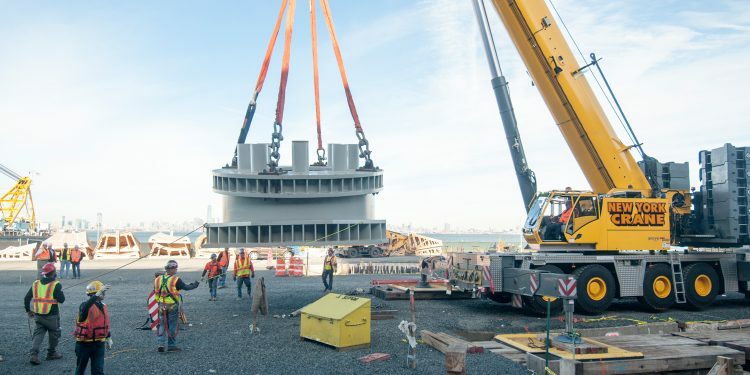 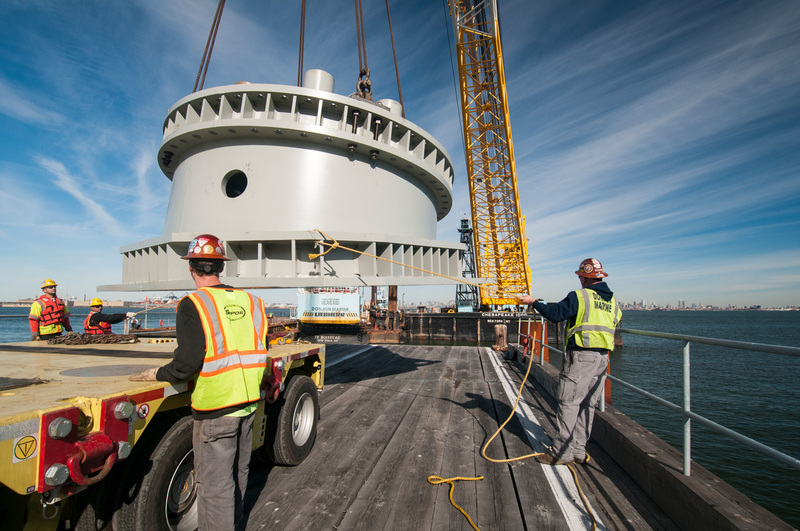 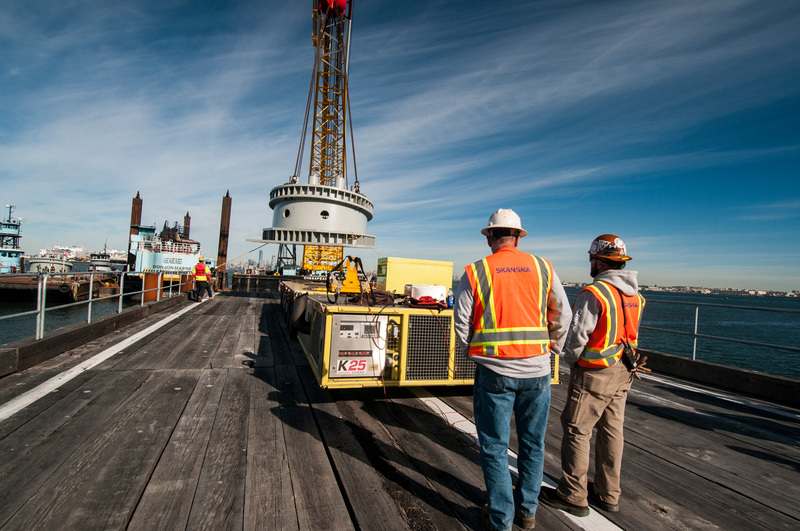 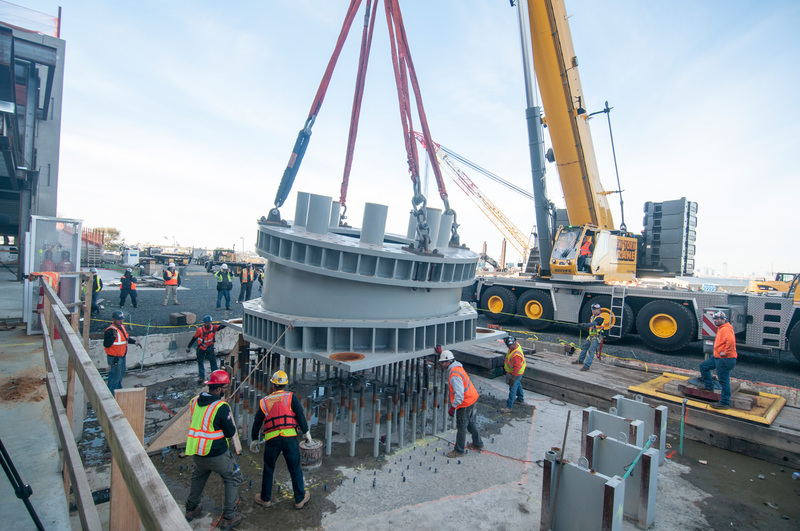 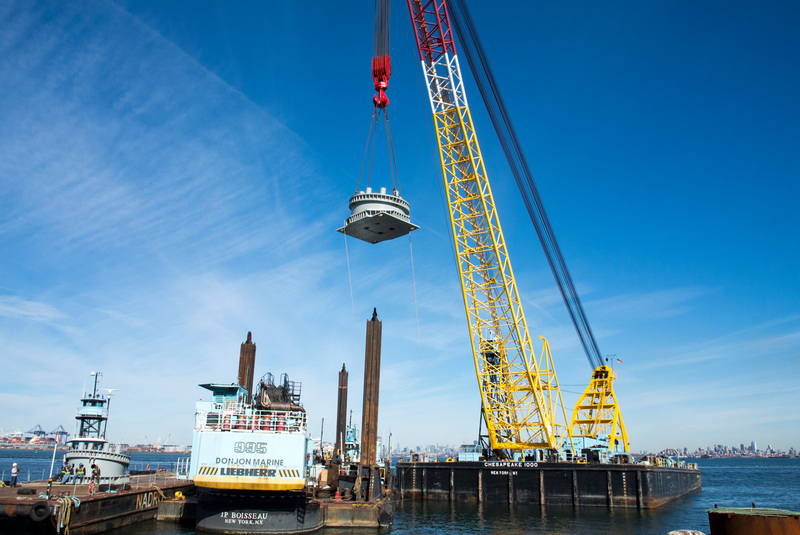 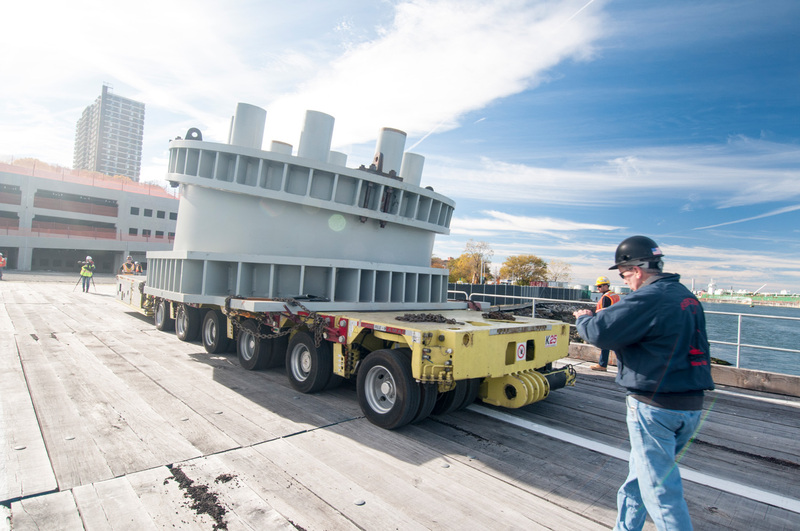 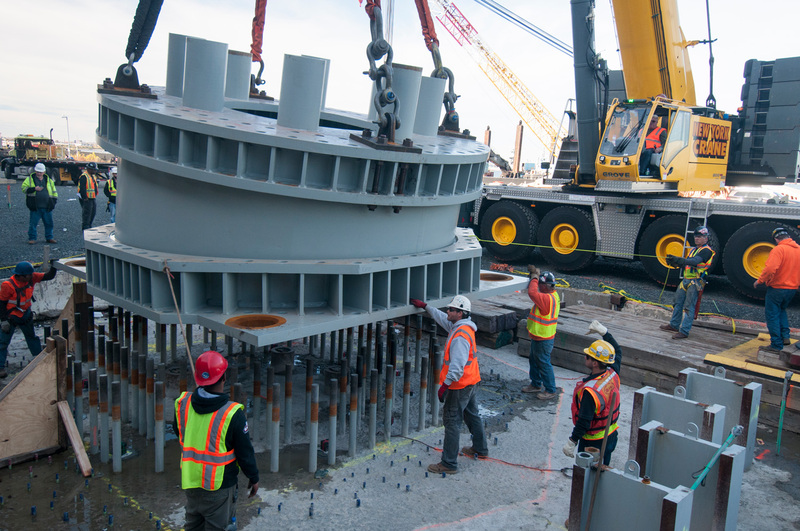 Last week, The New York Wheel team welcomed the arrival of two (of four) of the wheel’s massive pedestals to Staten Island. 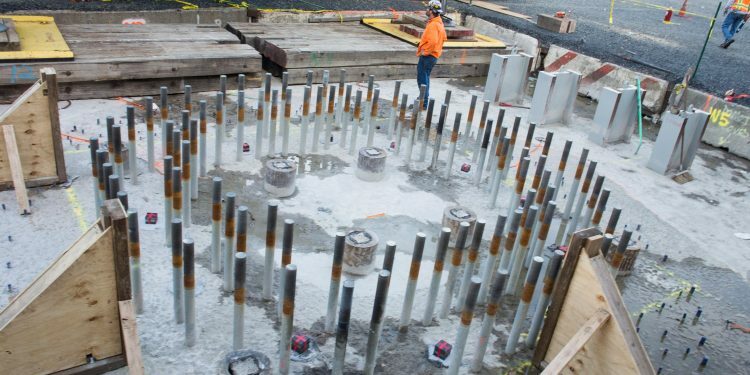 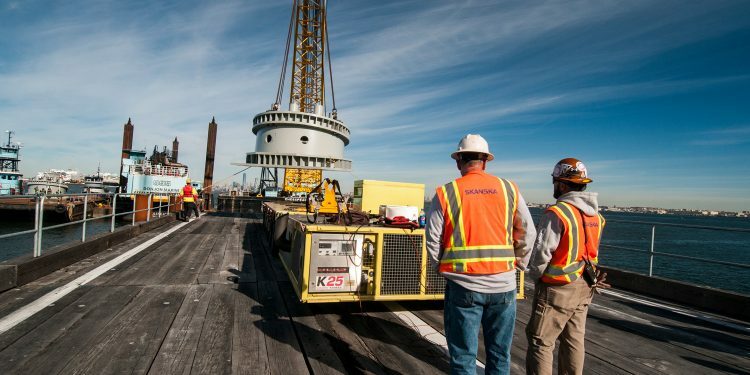 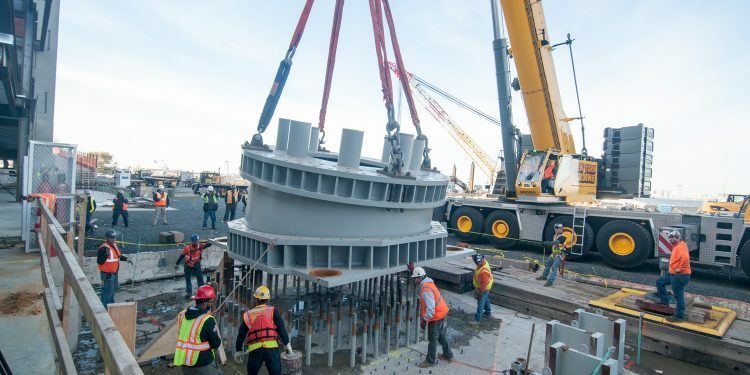 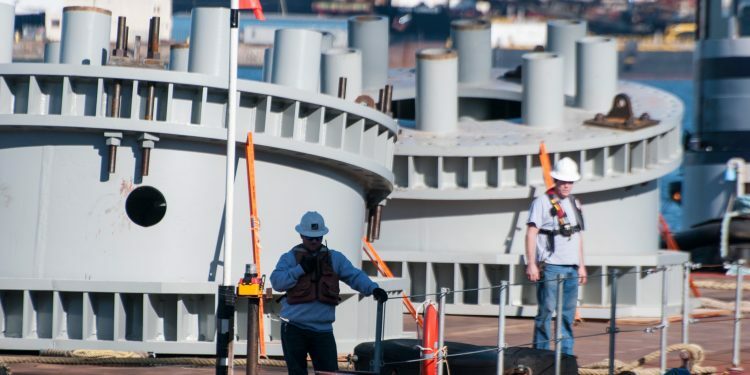 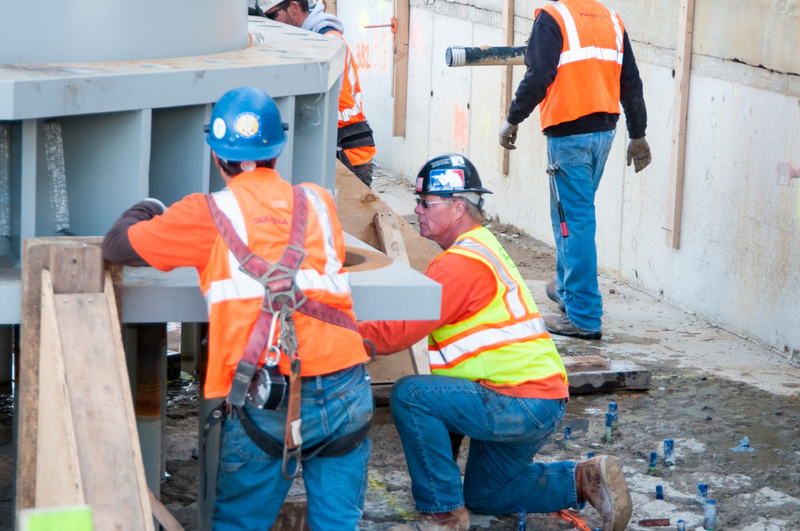 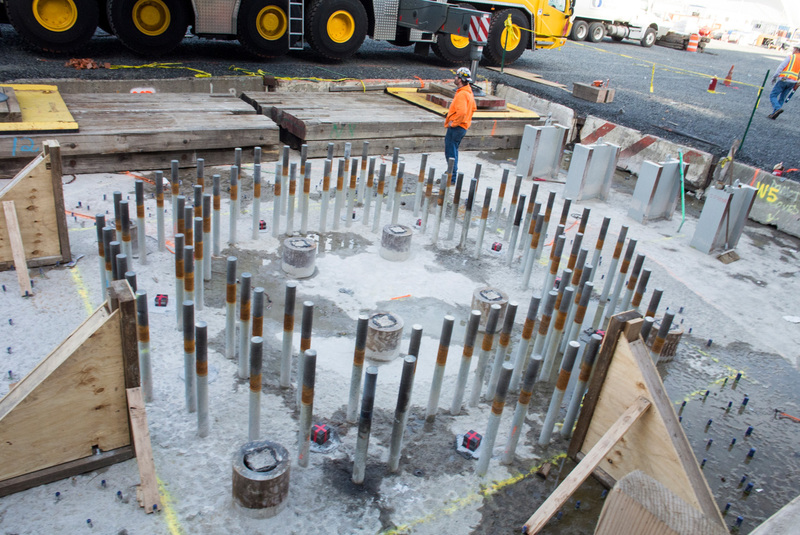 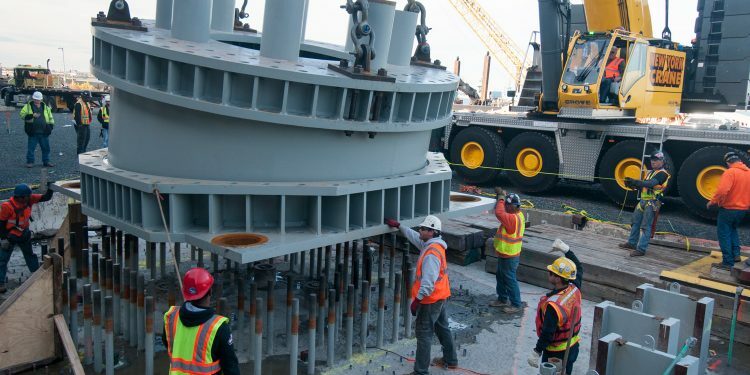 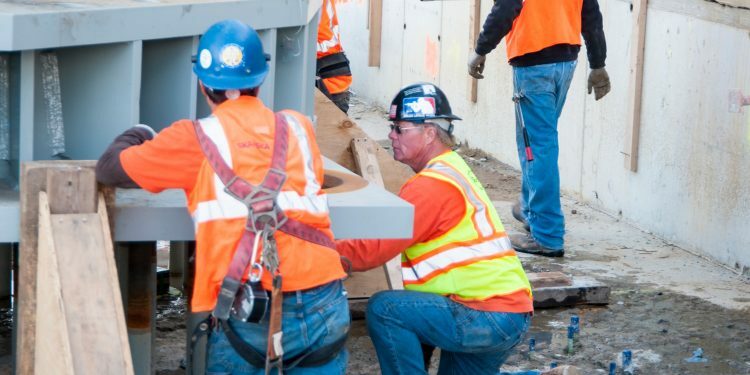 Construction of the New York Wheel will reach a milestone with the arrival of two additional pedestals at the end of the week, marking the first full structural component featured on the construction site in St. George. 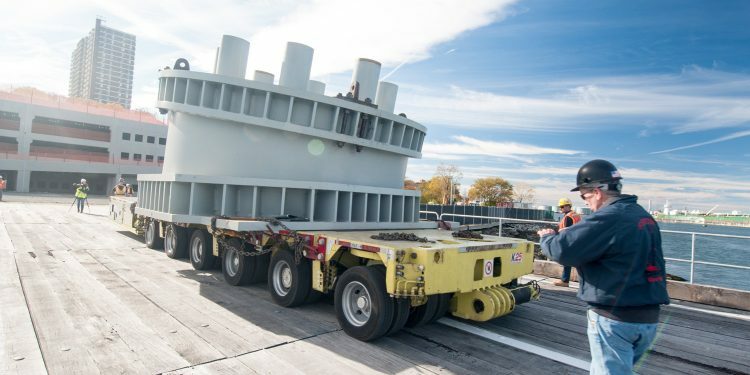 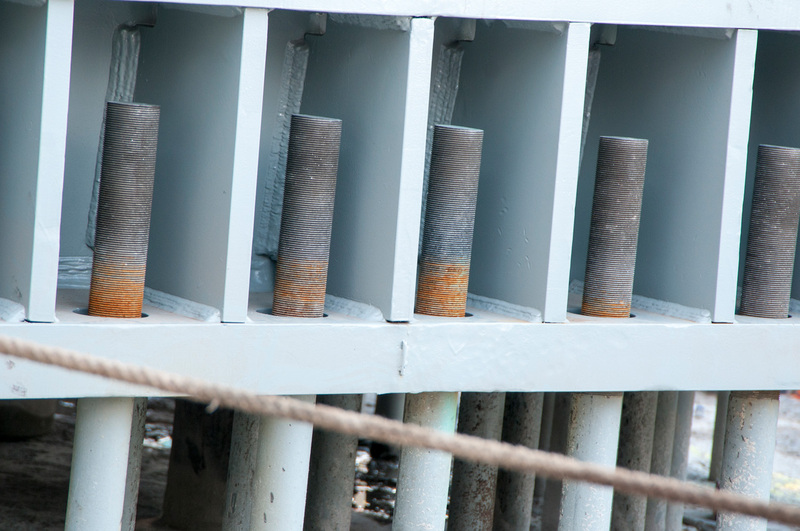 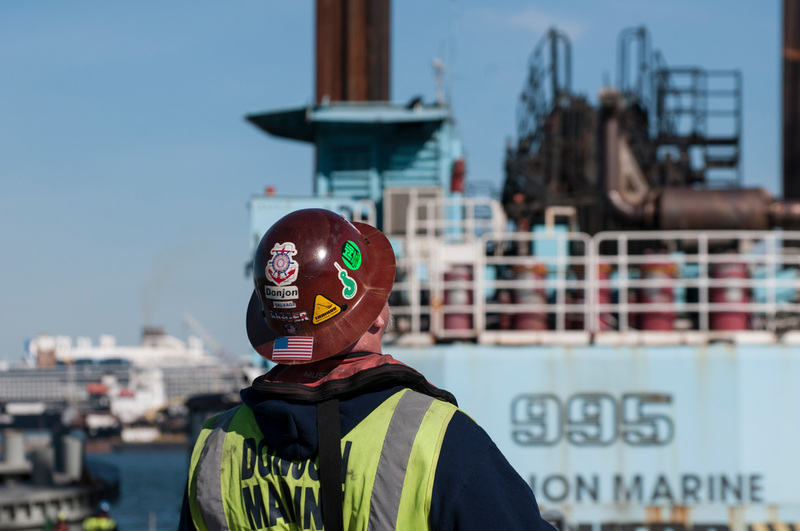 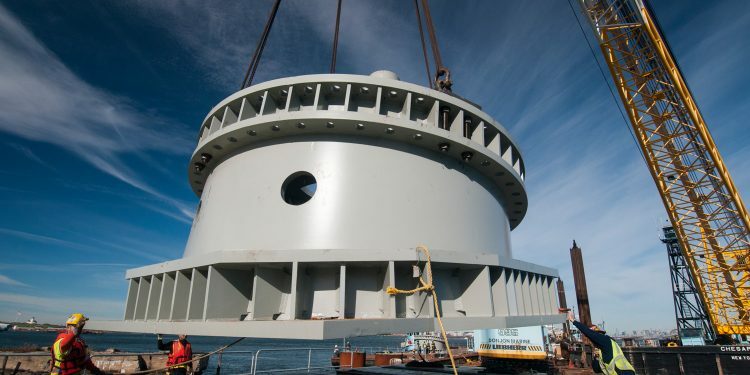 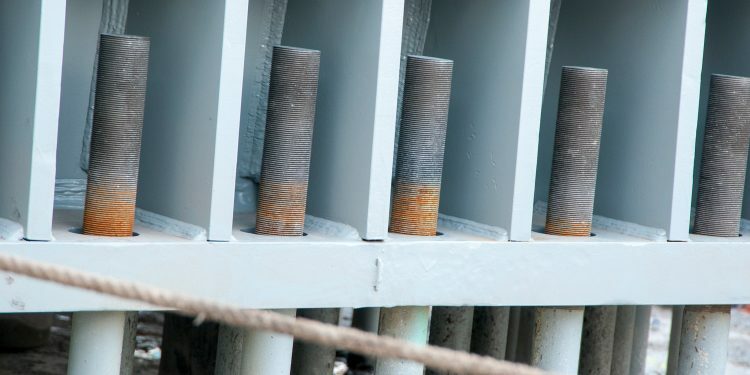 The final two pedestals are expected to arrive via barge from Montreal, Canada, to a $3-million temporary construction dock built by local business, Reicon. 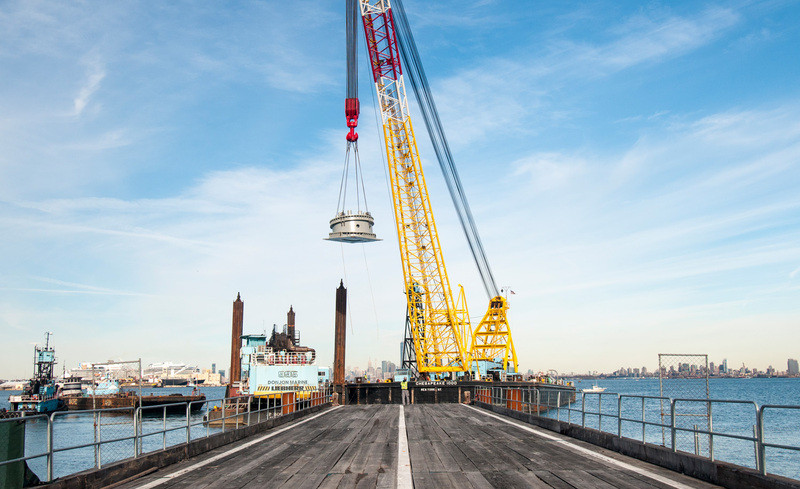 Slated for completion in early 2018, the New York Wheel, a 630-foot observation wheel, will be equipped with $7-million worth of LED lights creating a vibrant visual canvas on New York’s skyline. 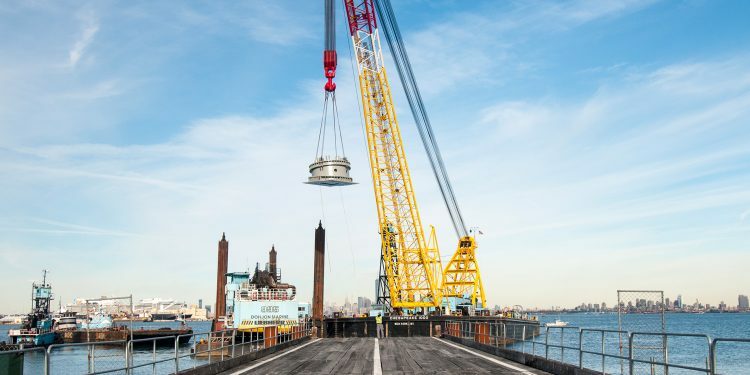 The wheel will be located in the St. George neighborhood, a three-minute walk from the Staten Island Ferry terminal and is expected to serve approximately 3.5 million visitors annually. 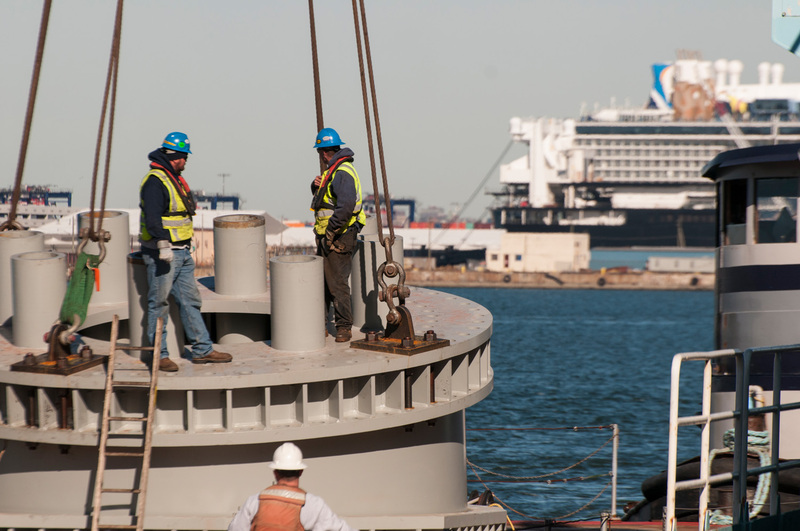 The new terminal will act as a venue for events accommodating up to 5,000 people, including concerts and weddings, as well as feature 5 acres of public green space, al fresco dining, and a state-of-the-art children’s playground. 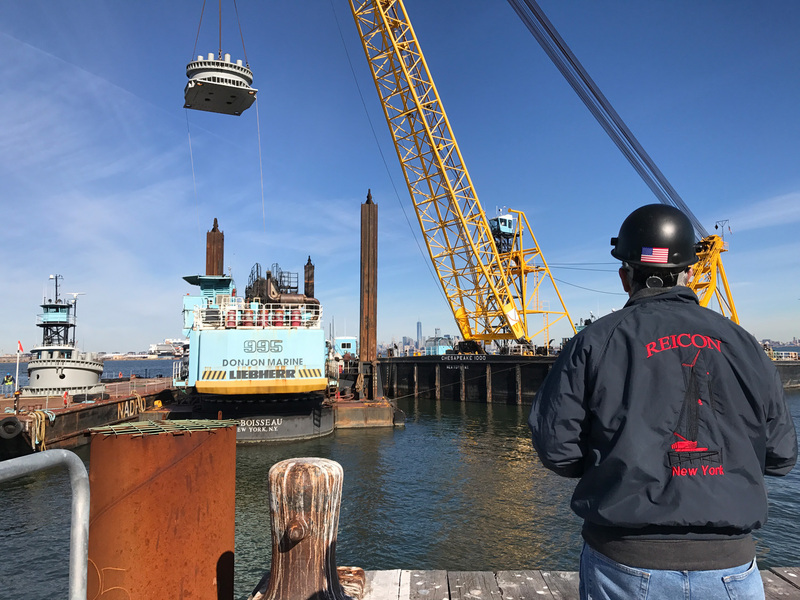 The wheel is also seen as a boon for the local economy, with its construction creating approximately 350 union jobs and 600 permanent jobs. 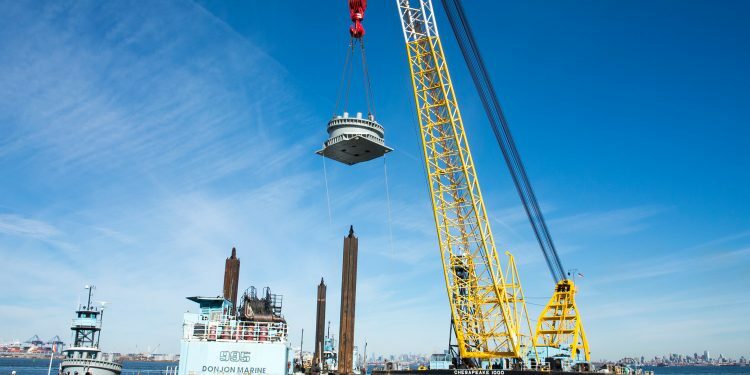 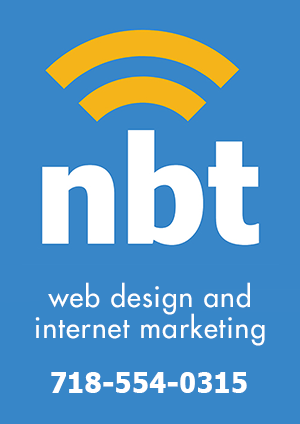 The New York Wheel supports local institutions such as Snug Harbor Cultural Center and Botanical Gardens, the St. George Theater, and the Staten Island Museum.